The fire broke out in a bed in Bruff, Co Limerick in the early hours of yesterday morning. A MAJOR GARDA investigation is underway after a “significant” amount of suspected cannabis plants were found destroyed in a fire at a “grow-house” in Bruff, Co Limerick, garda sources said. The blaze broke out in a shed located just off the Palatine Road on the outskirts of the town, shortly before 5am yesterday. Adjoining properties were not damaged in the fire. Two gardaí on patrol at the time spotted smoke billowing from the roof of the shed, and alerted Limerick City and County Fire Service. The grow-house operation was then discovered after firefighters put out the blaze, sources said. The fire completely gutted the building and caused the corrugated and thatched roof to cave in. Munster Fire Control received a report of “a derelict house fire” at 4.51am yesterday. Three units from Kilmallock Fire Service and one unit from Charleville, north Cork, including a water tanker and three fire tenders, put out the fire. Gardaí have spent the past 24-48 hours “digging through the rubble” to recover as much potential evidence as possible in what is an ongoing probe into the suspected cannabis factory. Garda sources described the value of the operation as “significant”. Investigators have been able to recover an amount of preserved suspected cannabis plants which are to be transported to the garda forensic science laboratory in Dublin for further examination. “Gardaí spotted the fire and pulled up beside the shed which is next to a cottage. The shed went completely up in flames and it was they discovered the alleged criminal activity,” a garda source said. It’s a typical grow-house. We are still recovering stuff at the moment. The scene is still sealed off. The source would not say how much the operation was worth. 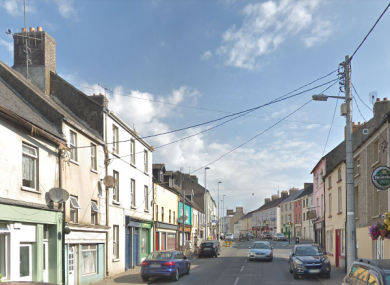 The main road from Limerick into the town was closed all day yesterday, and the scene remains sealed off tonight, pending an ongoing garda technical examination of the property and surrounding lands. The Divisional Drugs Unit based at Henry Street in Limerick city is now leading the investigation. In a follow-up statement, they confirmed: “Gardaí recovered a small number of cannabis plants from the premises following a fire”. “No arrests have been made and investigations are continuing,” they added. Email “'Significant' amount of suspected cannabis plants destroyed following grow-house fire”. Feedback on “'Significant' amount of suspected cannabis plants destroyed following grow-house fire”.